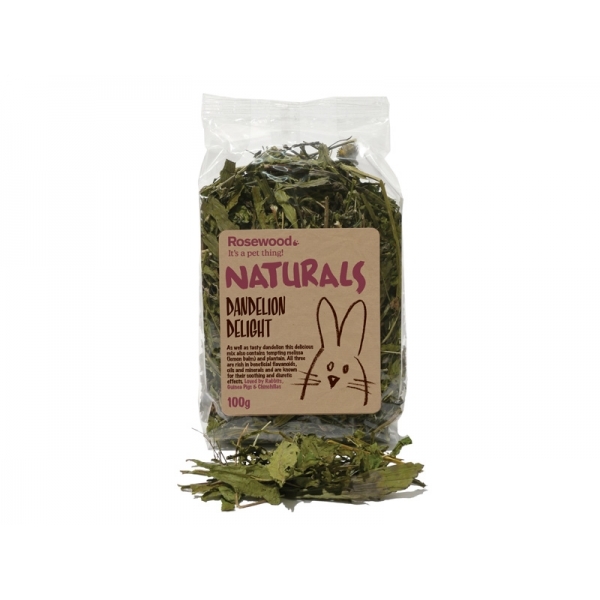 Boredom Breaker's Dandelion Delight contains tasty dandelion inside this delicious mix which also contains tempting melissa (lemon balm) and plantain. All three are rich in beneficial flavanoids, oils and minerals and are known for their soothing and diuretic effects. Ideal for all small animals, particularly rabbits, guinea pigs and chinchillas. There are currently no questions for Boredom Breaker Dandelion Delight for Small Animals - be the first to ask one!